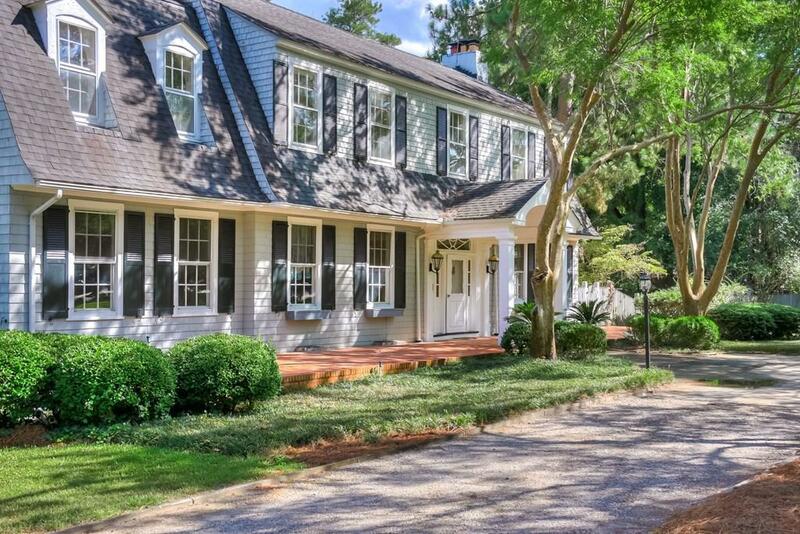 Green Plains - this delightful, historic Dutch Colonial home, built by Eulalie Salley, is situated beautifully on 2 acres of lush lawn & established gardens. This home offers spacious living areas both inside & out! 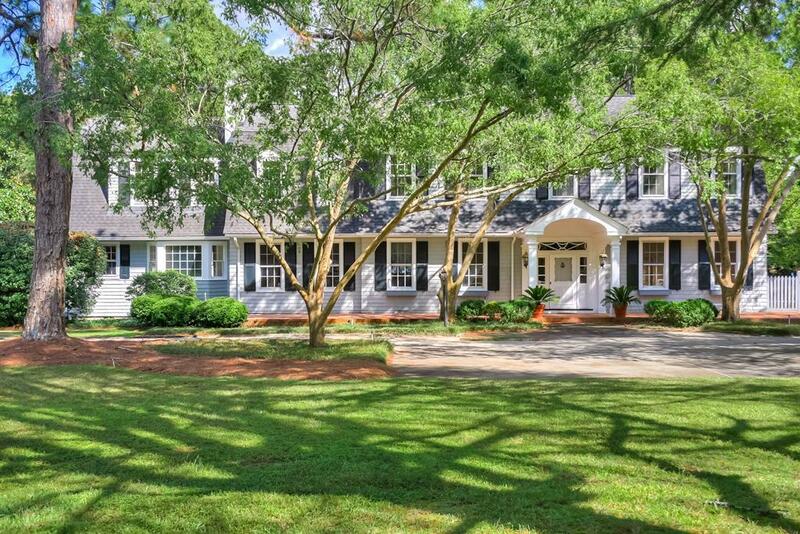 You will love the inviting wide entry hall, gracious living room, gorgeous dining room and a second living / gathering room with arched windows overlooking the in-ground pool & courtyard. 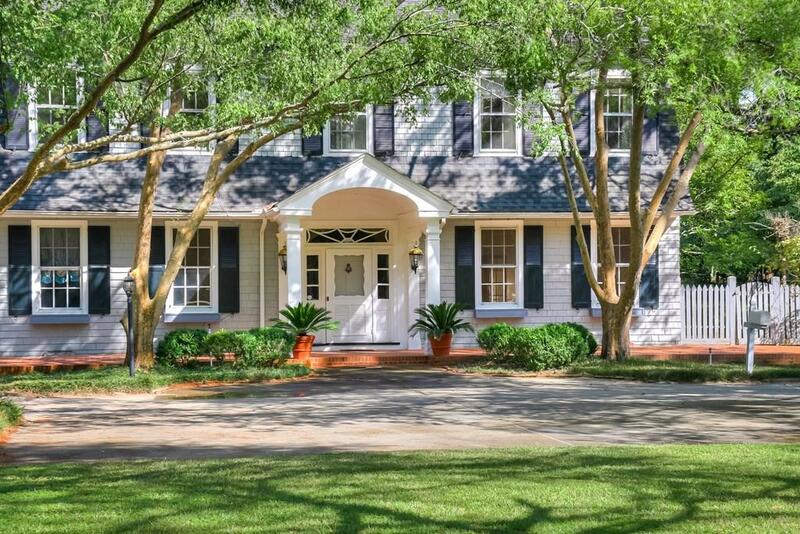 High ceilings, hardwood floors & handsome moldings are found throughout. With 7 bedrooms, 7 full | 2 half baths & superb storage, this home is perfect for those who love to entertain and host visiting guests. A charming 1 BR guest apt. has a fun, ground floor Pub / Games room, too. Property includes a playhouse, bicycle storage & maintenance shed, a rear parking court, brick terraces & formal rose garden. 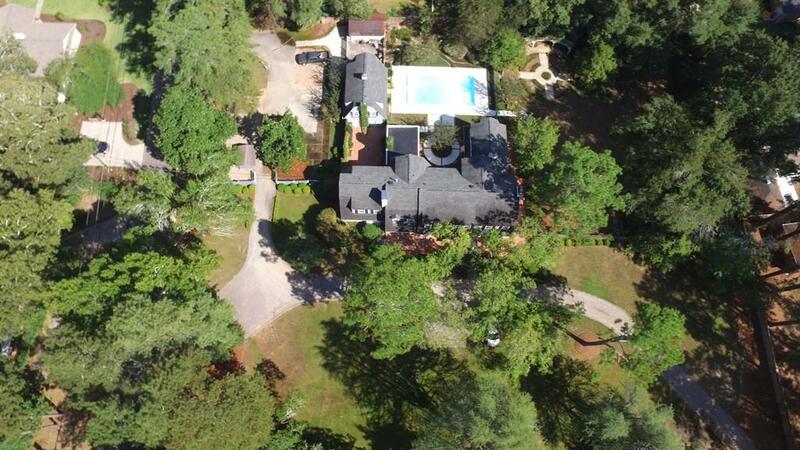 Prime location across from Palmetto Golf & Fermata Clubs, close to Green Boundary Club & Aiken's Horse District, downtown, shopping & schools. Ideal as a full-time or seasonal residence!